Beijing, March 27: Tibet's 2018 GDP has reached $22 billion -- about 191 times more than the 1959 figure calculated at comparable prices, said a white paper released on Wednesday by China. The Tibetan spiritual leader Dalai Lama had fled the country in 1959. And in the next 60 years the hard work of the people of Tibet saw agriculture and animal husbandry become modernised, documented the State Council Information Office's document titled 'Democratic Reform in Tibet -- Sixty Years On'. 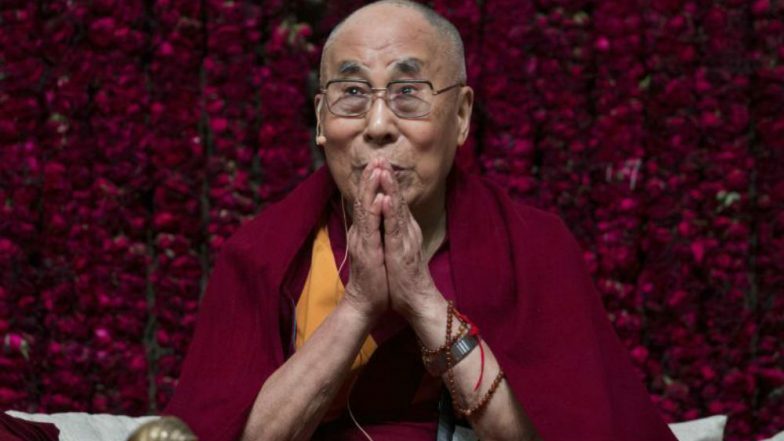 China Not to Recognise Dalai Lama's Indian Successor, Calls Tibetan Spiritual Leader 'Dangerous Secessionist'. The added value of agriculture, forestry, animal husbandry, fisheries and related service industries rose from 128 million yuan in 1959 to 13.41 billion yuan in 2018, Xinhua news agency reported. More than 100,000 farmers and herdsmen have earned more through tourism and Tibet has become an international tourist destination, it said. Infrastructure has been improved in Tibet, as a comprehensive transportation network composed of highways, railways and air routes has been formed, it added.